If there is a sector for which KRION® seems to have been specifically created, it is the nautical sector. Weather conditions, storms at sea, and a long list of obstacles for other materials are the strong points of the compact mineral from PORCELANOSA Group. Without intending to overstate the weaknesses of other materials, we would go so far as to state that KRION® is appropriate for almost all spaces available within a leisure boat, such as bathrooms, kitchens, bedrooms, and dining rooms, in possibilities such as coverings, furniture, countertops, and decoration. 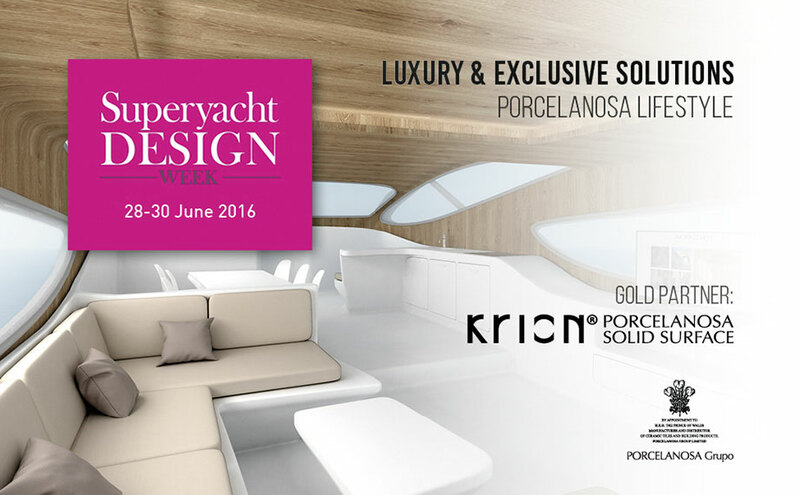 With this in mind, if anyone is still wondering what KRION® is doing at a yacht trade fair, we can show you from the 28th to 30th of June at Superyacht Design Week, in the “Design Centre” at Chelsea Harbour, London.